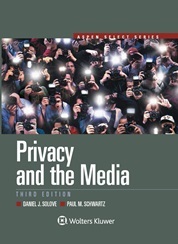 This short paperback, developed from the casebook, Information Privacy Law, contains key cases and materials focusing on privacy issues related to government surveillance and national security. Topics covered include the Fourth Amendment, Third Party Doctrine, metadata, sensory enhancement technology, video surveillance, audio surveillance, location tracking and GPS, electronic surveillance law, computer searches, ECPA, CALEA, USA-PATRIOT Act, FISA, foreign intelligence, and NSA surveillance. 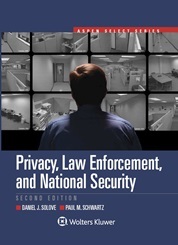 This book can be used as a supplement to general criminal procedure courses as it covers electronic surveillance law and national security surveillance extensively, topics that many criminal procedure casebooks don’t cover in depth. 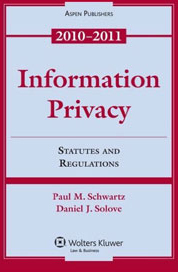 This short paperback, developed from the casebook, Information Privacy Law, contains key cases and materials focusing on privacy issues related to consumer privacy and data security. 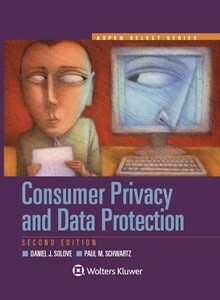 Topics covered include Big Data, financial privacy, FCRA, GLBA, FTC privacy and security regulation, identity theft, online behavioral advertising, First Amendment limitations on privacy regulation, data breaches, data breach notification statutes, privacy of video watching and media consumptions, CFAA, enforcement of privacy policies, marketing use of data, and more. 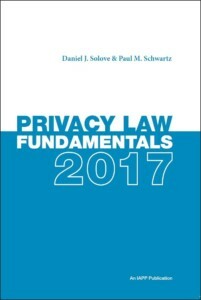 This book includes the up-to-date complete text of about 40 statutes, regulations, and other materials. 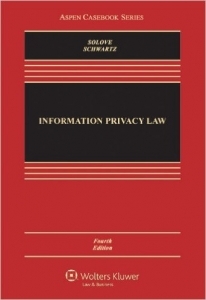 Includes: APEC Privacy Framework, CCPA, California Breach Notification Statute , California’s SB1, COPPA, CALEA, CFAA, CAN-SPAM, CIIA, DPPA, ECPA, EU Data Protection Directive, FCRA, FERPA, FISA, FOIA, FTC Act, GLB Act, HIPAA, OECD Privacy Guidelines, Privacy Act, PPA, Real ID Act, RFPA, Safe Harbor Arrangement, TCPA, VPPA, and much more. This book will no longer be updated. 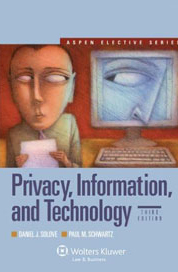 It has been replaced by Consumer Privacy and Data Protection (above) and Privacy, Law Enforcement, and National Security (above).